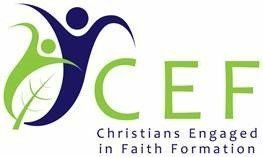 Christians Engaged in Faith Formation (CEF) is for people in all denominations who have responsibility for educational ministries in the church. Christians Engaged in Faith Formation which formerly called Christian Educators Fellowship. The Christian’s Engaged in Faith Formation (CEF) of the Western NC Conference is the local chapter of a national organization. -connect volunteer and paid church leaders. -nurture and equip through opportunities for relationship, education, retreat & Sabbath. -help leaders fulfill their ministry in the local church. Anyone who works in Christian Education (both volunteer and paid) Children, Youth, Adult Ministries Leaders, and other Program Staff. All individuals who participate in any form of Christian Education are encouraged to join the local CEF and enjoy the additional benefits of our connections within CEF and the church. What do others say about CEF? I have been a member of WNCC CEF since 1988. Throughout these years CEF connections and training events have supported and helped me to grow in my work in the local churches that I have served. The sharing of ideas and resources and the sharing of both the joys and struggles of ministry in the church continues to be reason enough to stay connected through CEF. Through CEF I am able to both offer leadership and resources as well as to be a recipient of many great offerings of others. I first began with CEF in the Pfeiffer University CEF chapter in 2009. I began with the WNCC CEF in 2013. It has been nice to network with others who are in ministry with me. Coming straight out of college, CEF has helped me in the journey that God had placed before me. To me CEF is a Fellowship of Believers helping each other grow in the path that God has called us to do. CEF has been such a "home base" for me over the past 27 years in ministry. Over the years this group has been a support not only through shared ideas for ministry but also a support through joys and loss in my life. As supportive community changes daily in a faster paced world, CEF continues to offer networking relationships that sustain. Print and fill out the membership form found and mail it to the membership coordinator with your dues as detailed on the form. Membership forms and dues must be received by Jan 30 of each year to be included in the Directory but you may join at any time during the calendar year. Discipleship Institute: The Discipleship Institute is a ministry designed to provide geographically accessible and cost-effective continuing education opportunities to Christian Educator professionals and local church leaders and volunteers. Past Discipleship Institute events have included topics on end of life decisions, planning the Christian year with children, and conversations about curriculum for all ages within the church. If you ideas for a DI please contact us, because we would love to hear your ideas.